Nov. 16, 2017, 11 a.m.
By Ken Doctor @kdoctor Nov. 16, 2017, 11 a.m.
Quibble, if you will, about the level of degeneracy now afoot in the heart of the Old and New Confederacy, as the Roy Moore saga provides yet more sick drama in the country. That’s a sideshow. What’s quickly appearing on the main stage — if it’s still behind the curtain for now — is the beginning of a likely massive movement in news media ownership. You think you’ve seen a politicization of the press? The 2016 election may serve as just its preamble. We’re on the brink — witness several actions this week alone — of a small number of right-leaning companies rapidly buying up, or buying into, the assets of journalism companies. In so doing, the alt-right “fake news” assault may move into a much more insidious phase, as long-trusted brands could take their marching orders from those who believe “fact” is fungible, in service of their political and business goals. “Media madness,” former Federal Communications Commission member Michael Copps called it Wednesday, as 15 Democratic senators called for a new federal investigation of the FCC’s rush to deregulate broadcast media in America. While Pai and his confederates pose superficially plausible arguments about how digital media has changed everything, their goals are more prosaic. Sinclair Broadcasting figures to become the first big winner of the new era. Although it’s opposed by a good mix of critics — from the stalwart Free Press group to Newsmax’s Chris Ruddy to Glenn Beck to the Dish Network, Public Knowledge, and Common Cause — Sinclair stands a good chance of soon becoming the largest regional broadcaster. How big? 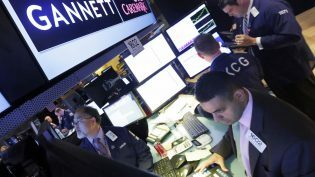 If it is allowed to complete its acquisition of Tribune Media (which some will recall cashed out a good chunk of the newspaper industry–built digital classifieds business and then most of the real estate and buildings associated with the former Tribune, now Tronc, newspapers), Sinclair will own 233 TV stations across the country, including the 42 gained in the Tribune sale. That’s a reach into 72 percent of U.S. households. Before the in-progress de-regulation, companies were capped at 39 percent. Look no further than the coverage of the Roy Moore story to get a glimpse of the future in detail. In “How Sinclair compromised the news on an Alabama station it owns to support Roy Moore,” Baltimore Sun media critic David Zurawik traced the chain of slanted reporting. It began with Sinclair-owned WBMA, which reported that all its sources (from three interviews) believed the good judge and not The Washington Post. While broadcast takes center ring here, pay attention to the rest of the circus. On Wednesday, the aspirational media mogul Koch Brothers blazed their way back into media ownership consciousness. As The New York Times reported, the brothers are backing a bid to buy Time Inc. With an injection of $500 million, magazine publisher Meredith looks as if it will finally be able to close its pursuit of Time Inc., perhaps putting that company out of its two-decades-old transition woes. The Kochs came close to beating Michael Ferro to the Tribune Publishing punch three years ago; only odd circumstance and pressure on one of Tribune’s then-major owners, Oaktree Capital Management, and on its co-chairman Bruce Karsh, prevented that deal. As the Times’ Dealbook put it, “It is not clear how much influence — if any — the Kochs would have on a Meredith-owned Time Inc. if the deal were to go through.” The Kochs have never been shy about mixing business and politics, and they’ll be — with long-standing publisher Meredith a curious intermediary — close to such titles as Time Magazine, Fortune and Money. How might they use that influence? How might Sinclair double down on its own advocacy after it wins the approvals it needs? Who else may come along — with enough money to freely mix business and politics? Inevitably, Rupert Murdoch’s name reappears. Just a week after it was reported that his 21st Century Fox was in talks to sell substantial film and TV cable assets to Disney, his name has popped up again as a would-be buyer. Could it have been the never-say-die 86-year-old news magnate of our time who whispered AT&T sweet nothings in President Trump’s ear, moving him to both tweet concern about media consolidation and to see his recent pick for Department of Justice Antitrust chief reverse himself and object to AT&T’s buy of Time Warner, including, most significantly to our points, CNN? Yet it’s also been reported that Murdoch has been a would-be buyerof CNN? The regulatory apparatus, or the dismantling of one, only serves as another means to a business end for Murdoch. Yes, imagine it: Some kind of Fox/CNN tie-up of money, distribution and, of course, working the political angles of the day. Who may be a first mover if Ajit Pai is successful in letting big broadcasters buy up as many of the country’s TV stations as they want and add big metro newspapers to their consolidated operations? Rupert Murdoch would have to be high on that list. 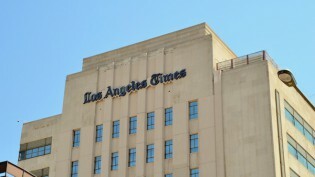 And again, the L.A. Times, the center of so much intrigue throughout its ownership-challenged decade, plays a part. In 2012, Murdoch, too, wanted to buy the L.A. Times. But he was stymied by the cross-ownership rules that meant he’d had to sell highly profitable L.A. stations in order to buy the Times. 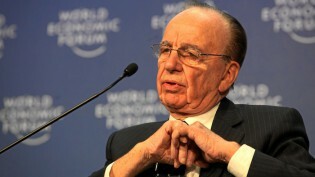 Now, if the FCC changes stick, Murdoch may be a key player in the broadcast/press roll-up. This brings up the inevitable question: where are the other names? Wasn’t George Soros supposed to be the master of progressive conspiracies? We’ve seen people like Jeff Bezos (Washington Post), John Henry (Boston), Glen Taylor (Minneapolis) and the Huntsmans (Salt Lake), among others, step forward and return degrees of reinvestment and stability to important metro dailies. Now, when it looks as if many more assets can be bought — and combined, with TV broadcast assets looking richer in a print-decimated world — who else will step forward? It will take confidence, courage, and money, to confront the new reality. Free Press and others are likely to contest FCC changes in the courts, but that may only be a delaying action. It’s best, perhaps, to contest this war of free press in the marketplace as well. This week, I raised the question of who might buy CNN if the global TV news giant (and leader of the digital news audience pack) comes up for sale. Though, AT&TT CEO Randall Stephenson has proclaimed his willingness to litigate DOJ’s objection to the breadth of his Time Warner buy, time — and offers — may persuade him to sell off CNN. The gravity of such a sale is clear. I’d argue that CNN has served as a fact-seeking bulwark against the alt-right, in the company of the Times and Post in aggressively covering and uncovering truths and lies. Imagine if it morphed into something else. (In fact, AT&T’s own standing has quickly morphed, given the crazy times: It has moved from being a perhaps poor steward of CNN to a politically aggrieved party in the mess. On Monday, L.A. Times columnist Michael Hiltzik laid out concerns about the AT&T/Time Warner deal. On Tuesday, Axios’ Jim VandeHei linked the rise of Newt Gingrich’s weaponized politics to John McCain’s pick of Sarah Palin as VP to the “algorithm-ized rage” of Facebook. “Fox News, created in 1996, televised and monetized this hard-edged combat politics. This created the template for MSNBC to do the same on the left, giving both sides a place to fuel and fund rage 24/7. CNN soon went all politics, all day, making governance a show in need of drama,” he wrote. The Fox point is a good one, but underestimates Fox’s — and Murdoch’s influence — on our current politics. Before Fox — the Americanized version of downmarket British tabloids that blur fact and fictions — such “journalism” was reserved for a place at the supermarket checkout. Most people knew that the category of Enquirers and Stars were not to be taken seriously. Fox News changed that by looking like TV news, its production values and Roger Ailes’ wiles revolutionizing reality. In 2017, we’re up to competing realities. What about 2027? In the Trump administration’s ongoing teardown of regulation — from health to environment to education — incalculable damage grows. Its media deregulation could have a great deal of impact. I’ve written, here at the Lab, about the likely impacts of news deserts on the 2016 election. As we approach 2018, that desertification only grows. Print advertising losses of 15 percent or more will mean hundreds of fewer journalists working next year. The FCC’s cry for digital freedom is likely a smokescreen. The likely convergence in the TV/local newspaper property combos to come will likely be convergences of costs and less reporting. Cost savings are a top priority for companies eyeing such consolidations. But this deregulation could put more money into the pockets of those who already have a lot of it. My story of becoming a journalist — I was born in 1957, so at the age of 14 or 15, I was completely engrossed by American politics and Watergate. In England, by the way, where I couldn’t see any American newspapers. But hearing at one or two removes about the work being done by The New York Times and The Washington Post in uncovering Pentagon Papers, Watergate, and so forth. It’s a matter of honest astonishment that 45 years, 46 years later, it’s the same brands. It is an astonishment. About 2,000 journalists, in total, power those two institutions. Although their work this year will prove historic, it’s not enough. We need journalists working freely in the pursuit of fact all over the country, in whatever “print” and “TV” become. 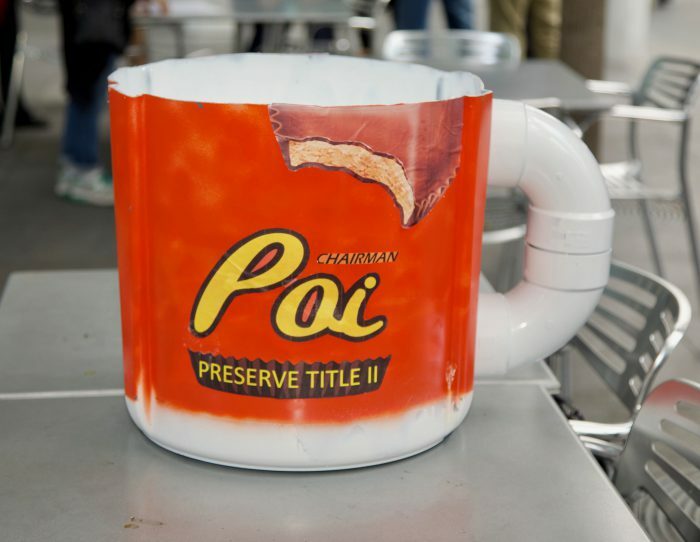 Photo of a net neutrality mug by CDEL Family used under a Creative Commons license. POSTED Nov. 16, 2017, 11 a.m. Doctor, Ken. "Newsonomics: A call to arms (and wallets) in the new era of deregulation and bigger media." Nieman Journalism Lab. Nieman Foundation for Journalism at Harvard, 16 Nov. 2017. Web. 18 Apr. 2019. Doctor, Ken. "Newsonomics: A call to arms (and wallets) in the new era of deregulation and bigger media." Nieman Journalism Lab. Last modified November 16, 2017. Accessed April 18, 2019. https://www.niemanlab.org/2017/11/newsonomics-a-call-to-arms-and-wallets-in-the-new-era-of-deregulation-and-bigger-media/.